From March 2018 - lug profile and still an excellent handling and stable feedback in road use. 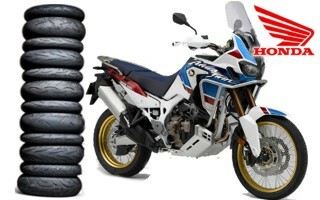 Sport Touring Contours for dynamic on-road driving. A high proportion of silica for increased wet grip on asphalt. The stable arrangement of the cleat blocks, prevents movement in the tread and ensures a uniform contact surface with the road. Convincing terrain characteristics and harmonious interaction with the electronic driving aids such as ABS and traction control. 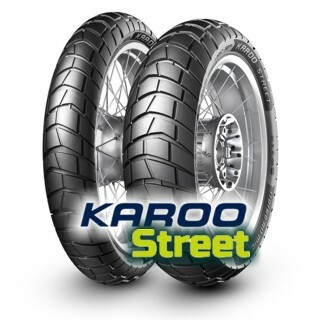 The availability of high-performance cross-purpose tires has never been better and the Karoo Streets are set to be a leader in the category. If you do mostly street riding or touring with a real hankering for getting off the beaten path without getting crazy technical, then the new Karoo Streets are worth a closer look.